BERLIN -- Volkswagen Group's planned sale of motorcycle brand Ducati and transmissions maker Renk currently has no majority backing on the company's supervisory board, with opponents to asset sales feeling invigorated by the group's strong results. VW Group has tasked banks to evaluate options for Ducati and Renk including divesting the two divisions as it aims to streamline operations to help fund a strategic overhaul after its diesel emissions-rigging scandal. 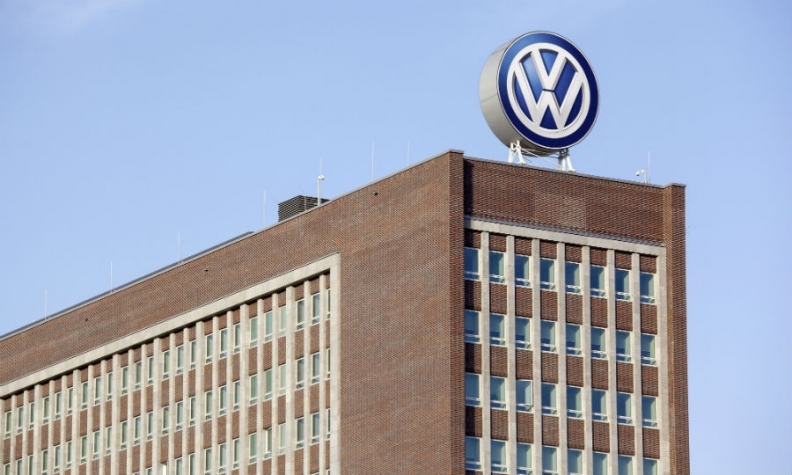 VW has been reviewing its portfolio of assets and brands since announcing in June 2016 a multibillion-euro shift to electric cars and new mobility services as part of its so-called Strategy 2025. Five bidders have been shortlisted to buy Ducati, including Italy's Benetton family, with offers received valuing the brand at 1.3 billion-1.5 billion euros ($1.76 billion), a source said on Saturday. The bidders will be given access to the company's books after the summer, the source said. "The employee representatives on Volkswagen's supervisory board will neither approve a sale of Ducati, nor one of Renk or MAN Diesel & Turbo," a spokesman for VW group's works council told Reuters on Saturday. "Everyone who can read the VW half-year results should know: We don't need money and our subsidiaries are not up for grabs by bargain hunters." Six-month operating profit at VW Group jumped 19 percent to 8.9 billion euros ($10.46 billion), the automaker said on Thursday, as cost cuts and r&d improvements at the core namesake brand earned VW a respite from the billions of euros in costs for fines, vehicle refits and compensation related to its diesel scandal. One source at VW said that given strong union opposition, VW is now reviewing the plan to sell Ducati because it doesn't want to risk working with labor on implementing a hard-fought turnaround plan for the VW brand, seen as crucial by investors. Ducati is owned by VW's luxury brand Audi but the VW Group's supervisory board has to approve a possible sale. With most of Audi's executives away for a three-week summer break, a decision on whether management will stick to the planned sale will not be taken until September or October, a source close to Audi said. Audi declined comment. VW finance chief Frank Witter, speaking on Thursday's earnings call, declined any comment on "speculation" surrounding VW's asset sales plans. The billionaire Porsche and Piech families, who control 52 percent of voting shares in VW and hold four supervisory board seats, do not support selling Ducati or Renk, two sources at VW Group said. A spokesman for Porsche SE, the family's holding company, declined comment.